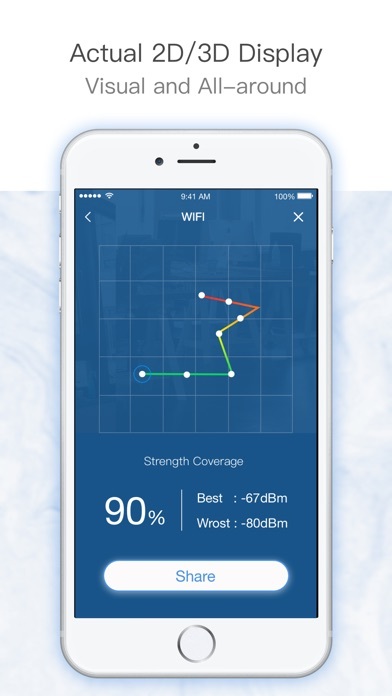 Welcome to next generation of signal strength testing - the AR world! 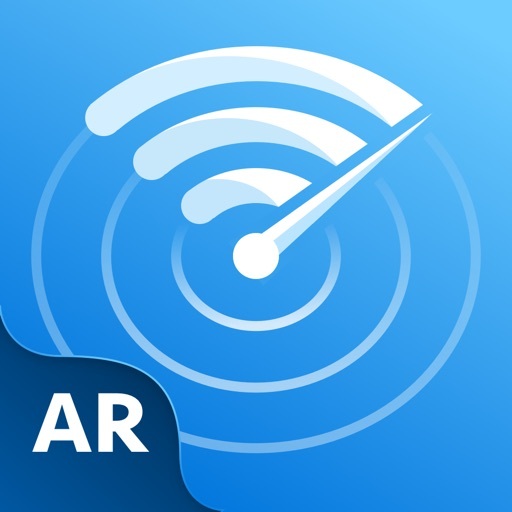 AR signal master is the first application to present the WiFi signal strength in AR (Augmented Reality) technology on your iPhone. Open AR mode, Walk around in your living room, study-room, bedroom, bathroom and backyard. Meter the signal strength and record it in the real world. 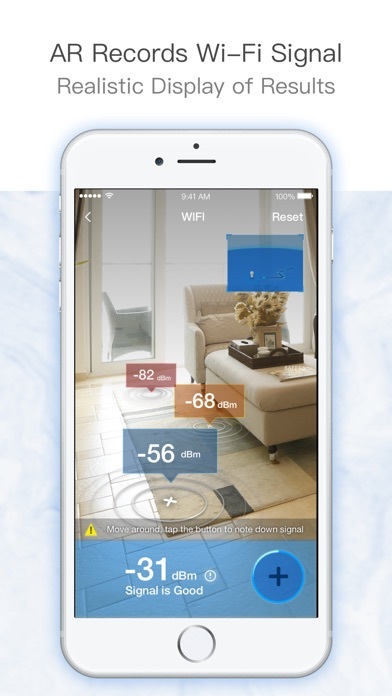 Turn around and see the signal tags on your side, you can find out the best signal strength area easier than ever. 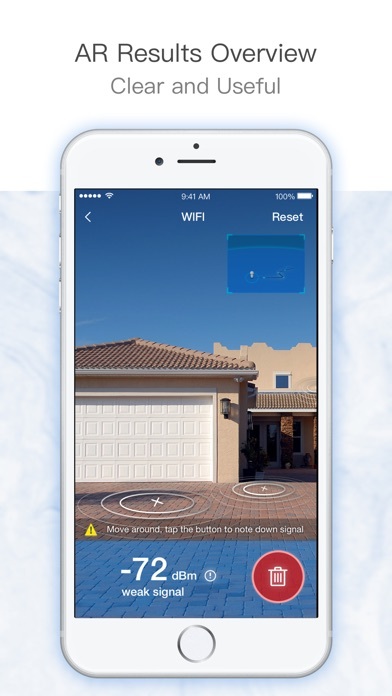 AR signal master takes you into augmented reality world. Any feedback is warmly welcomed. and hope you enjoy it.